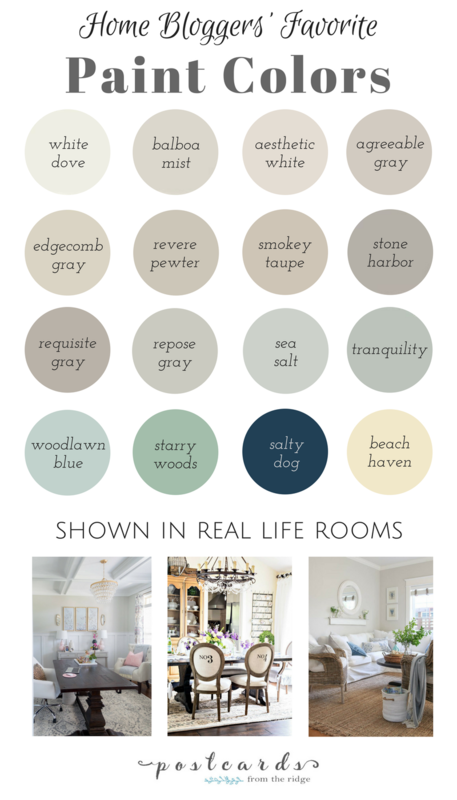 Favorite paint colors from some of your favorite bloggers. Hello, friends. 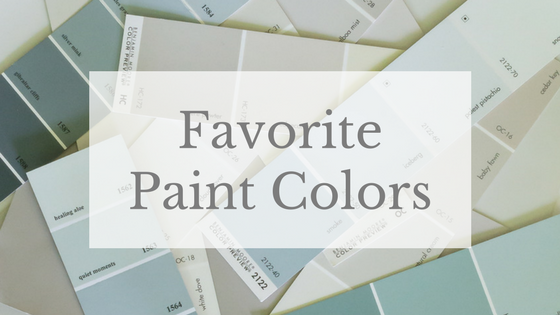 It's been a while since I shared a "favorite paint colors" post and today I've got some great ones for you. 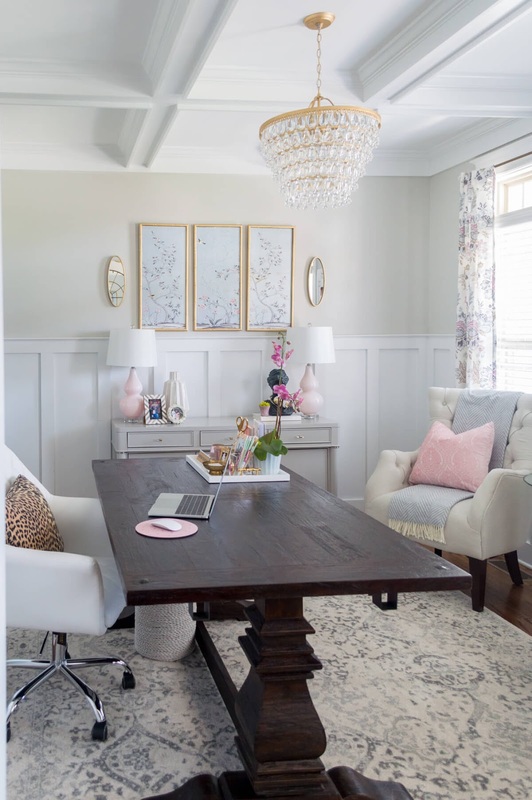 I asked some of my home blogging friends what their favorites are and they came back with some gorgeous rooms to inspire you. 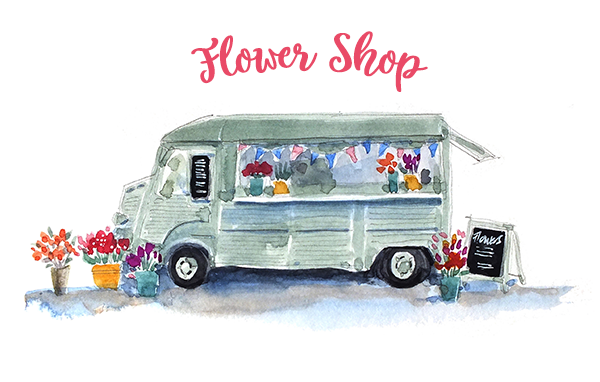 Be sure to visit each bloggers site, listed under the photos, and take a look at their style. And also pin from there. Our guest bedroom is painted in Benjamin Moore Smokey Taupe and it goes with so many different colors. It's nice if you want a neutral that isn't too light or too dark. You can see the rest of the room here. Stone Harbor from Benjamin Moore is another nice neutral. It's more gray than Smokey Taupe and a little darker but still goes with just about any color. 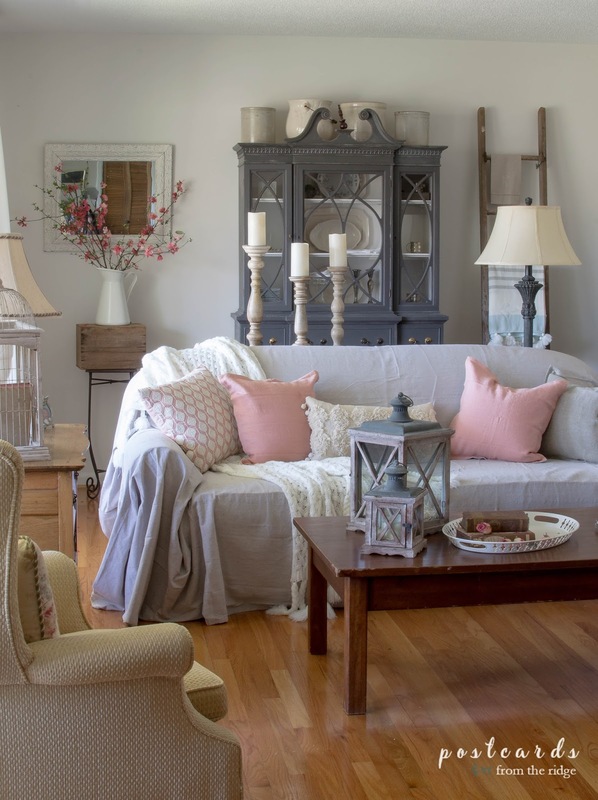 Take a tour of this room and home from Castle Revival HERE. 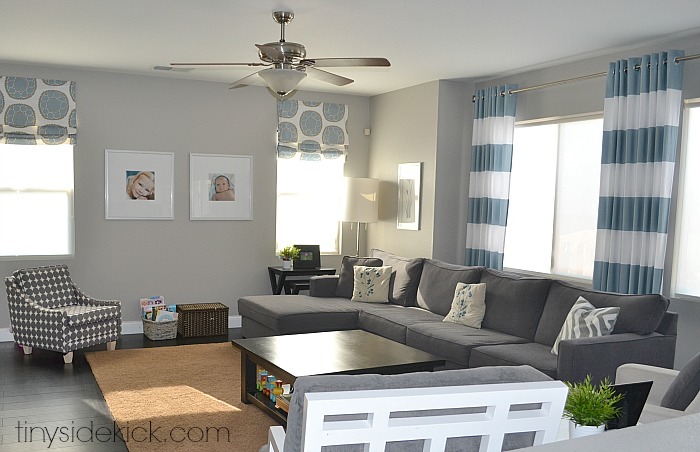 One of the most popular cool neutrals these days is Sherwin Williams Requisite Gray. It has enough color to give a nice contrast with white trim, but isn't at all dark. Hop over to Hey There Home to see more of this color. If you want a nice, fresh neutral then you should definitely consider Balboa Mist. It's light and airy and has just a hint of color. See more of this room over at Saw, Nail, & Paint. You'll love her style. Another great light neutral is Sherwin Williams Repose Gray. It's a wonderful backdrop to this gorgeous room at The Home I Create. See the rest of this room and beautiful home HERE. For a soft neutral that's not too warm and not too cool, Edgecomb Gray is a good choice. Our breakfast room is painted in this color and blends well with the cool gray floor and the warm buffalo check curtains. See more of this room HERE. 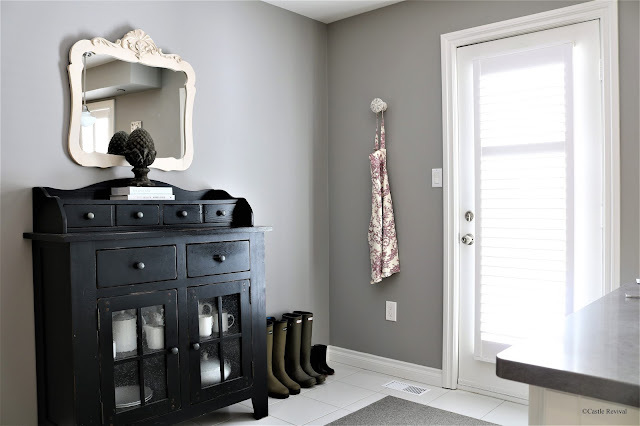 One of the most used neutrals for homes today is Benjamin Moore Revere Pewter. It complements both warm and cool colored accents and goes with any style. See more of this room HERE. 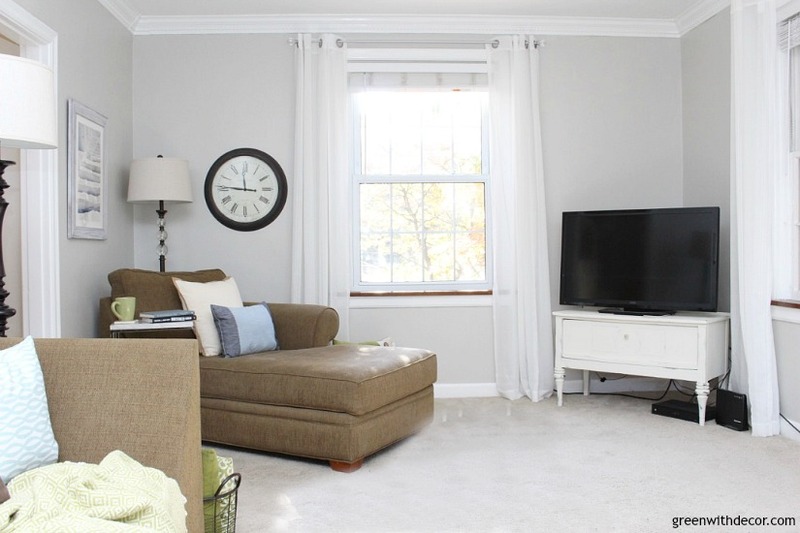 Sherwin Williams Agreeable Gray is a light warm gray with just a subtle amount of color. 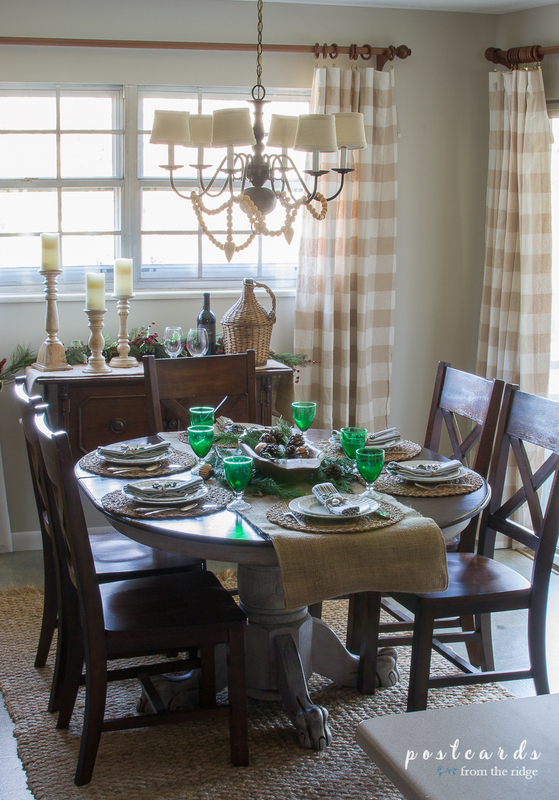 It has a soothing and clean appearance in this room from Green With Decor. 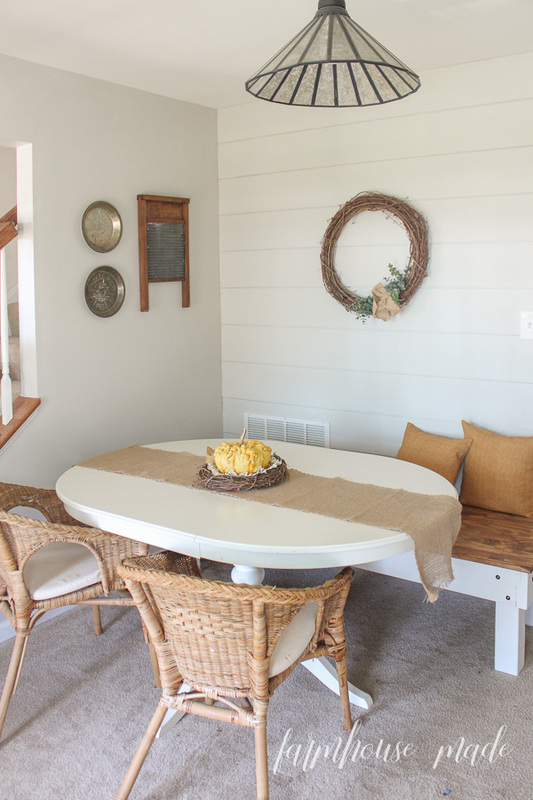 And in this dining area from Farmhouse Made, Sherwin Williams Agreeable Gray goes nicely with the warm woods and the metal accents. 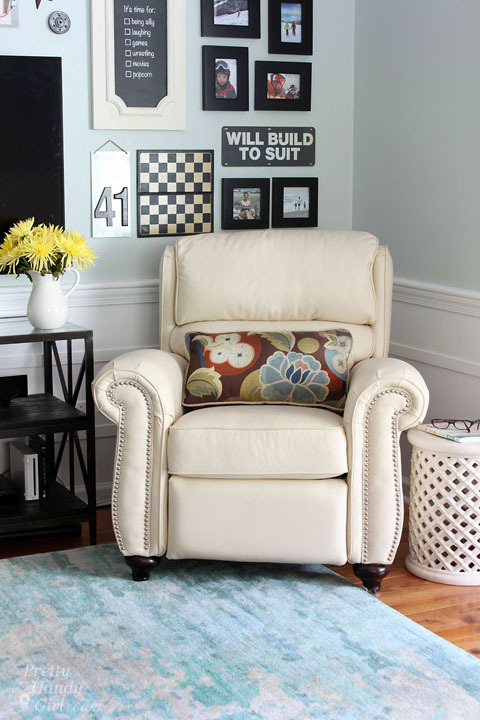 A shade lighter than Agreeable Gray is Aesthetic White from Sherwin Williams. 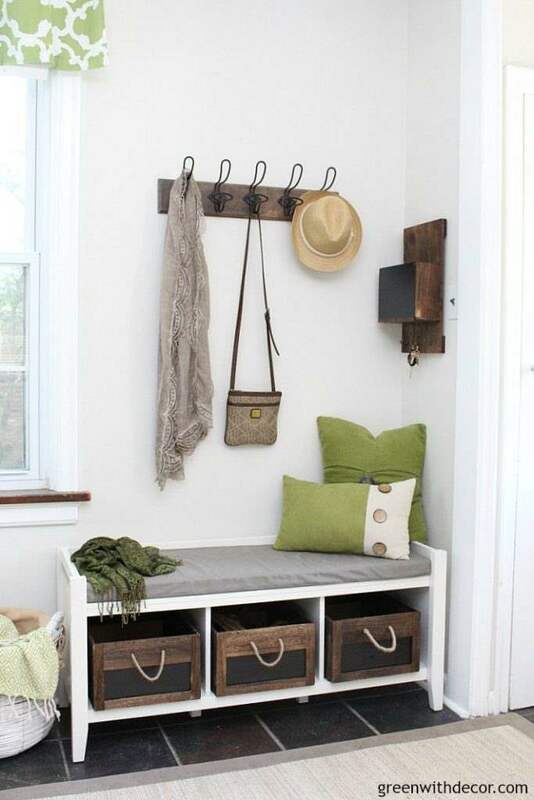 Fresh and clean, it gives this entry from Green With Decor and light and airy feeling. 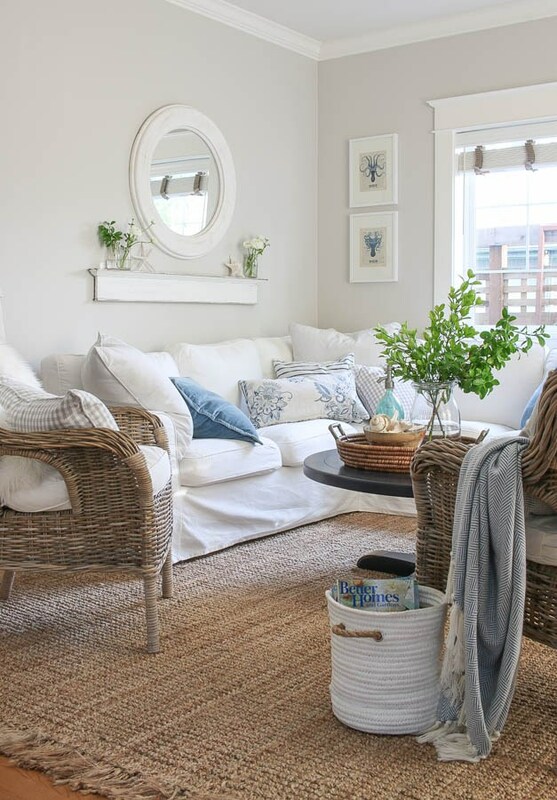 For a creamy neutral, try Benjamin Moore Beach Haven. 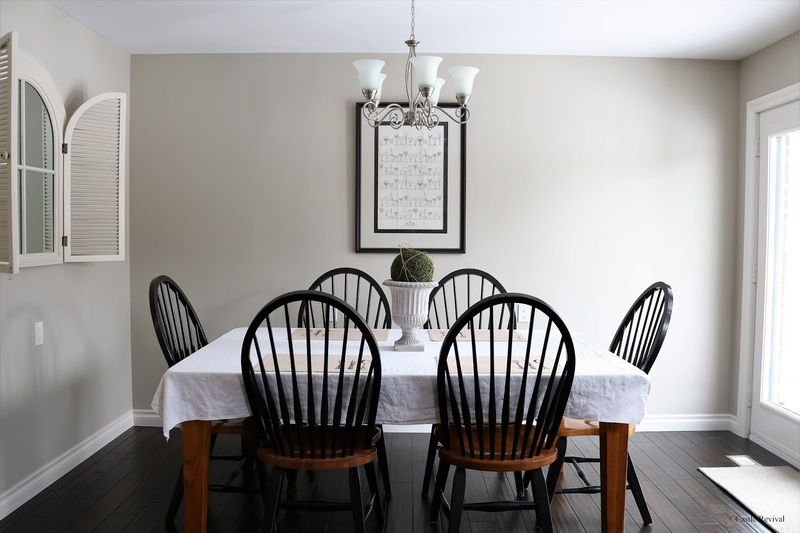 Kim at Tidbits and Twine had it lightened by 25% for her dining room and it complements her warm and cozy decor beautifully. 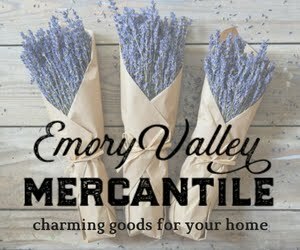 Need a soft blue gray? Sherwin Williams Sea Salt might be exactly what you've been looking for. 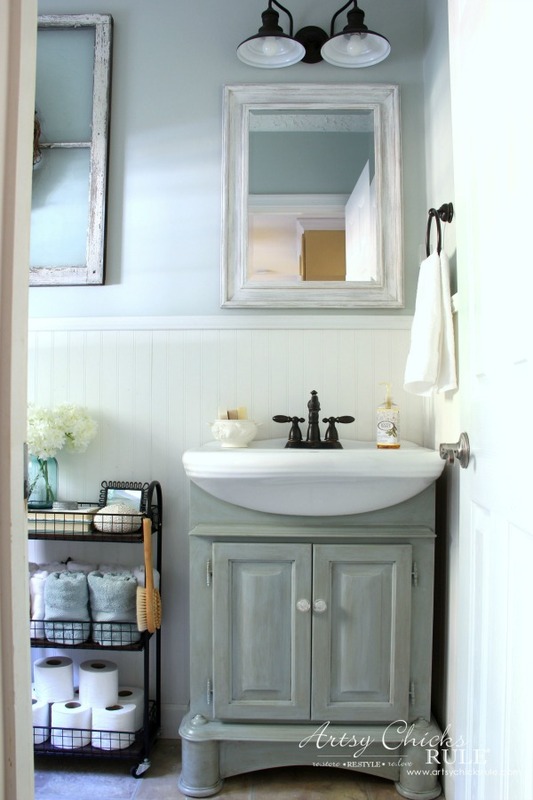 Doesn't it look pretty in this bathroom from Nancy at Artsy Chicks Rule? See more of the space HERE. And Brittany at Pretty Handy Girl used it in her living room as well. The contrast against the black grams and white wainscoting is so pretty. See the rest of this room HERE. Benjamin Moore Woodlawn Blue is a little darker and greener than Sea Salt but is still a nice soft shade. We have it in our master bedroom and it goes well with linen fabrics and white and wood accents. See more of our master bedroom HERE. A soft gray with hints of blue and green, Benjamin Moore Tranquility is perfect for a bedroom or bathroom. We used it in our half bathroom renovation and love it in there. See more of the room HERE. For a timeless white that's not sterile looking, Benjamin Moore White Dove is a classic. Our living room and trim throughout most of the main floor is painted in this color. I also painted my studio in White Dove last month. You can see it HERE, and our livng room HERE. 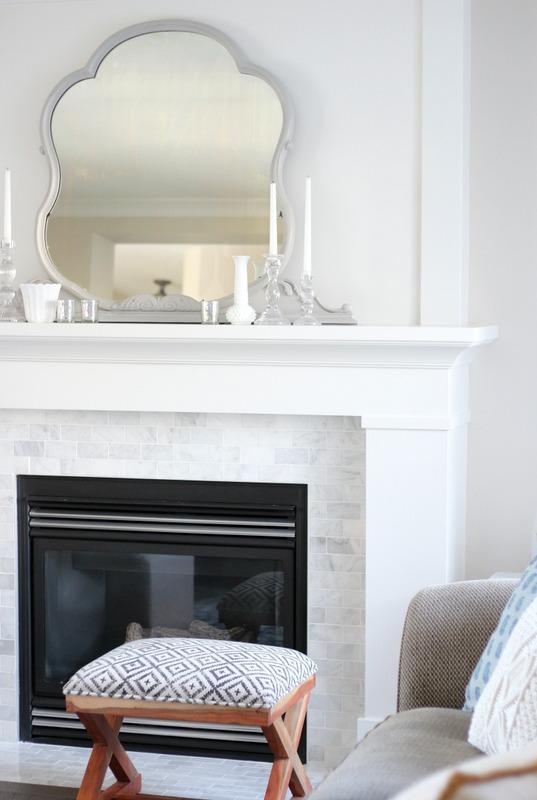 Shauna at Satori Design for Living painted her fireplace in White Dove and it's gorgeous! See more of this room HERE. 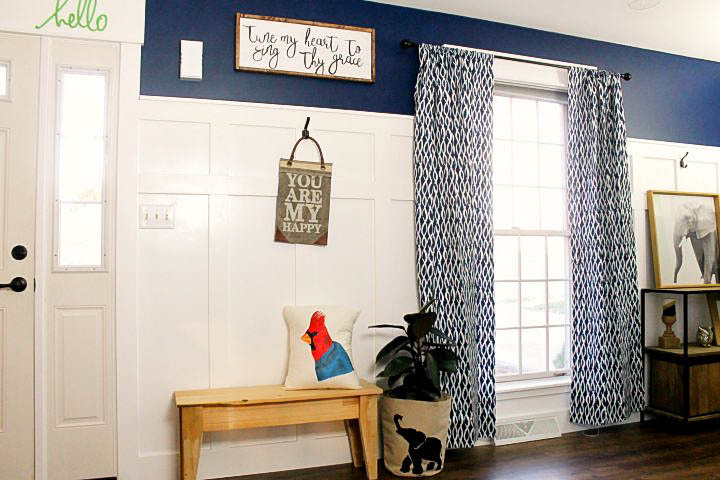 Blue and white is definitely on trend and Sherwin Williams Salty Dog is a great one. It's stunning with the white wainscotting from Natalie at A Turtle's Life For Me. See the rest of this room HERE. 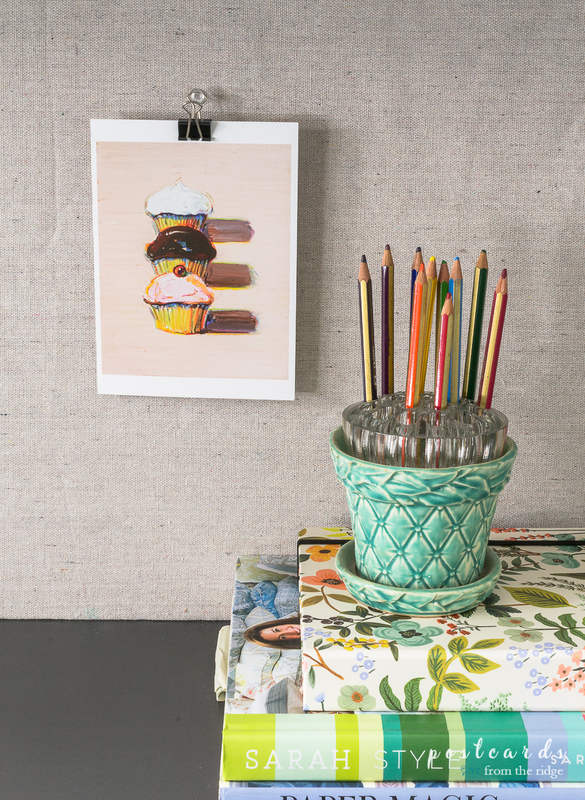 If you're looking for a fun color to paint some accent furniture, Valspar Starry Woods works in any space. 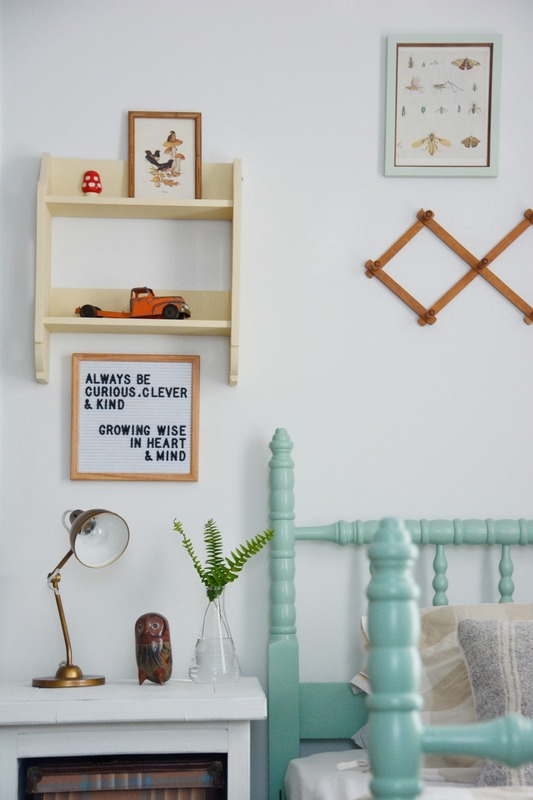 Don't you love this cute bedroom from Petal and Ply? See more of this room HERE. So what do you think? 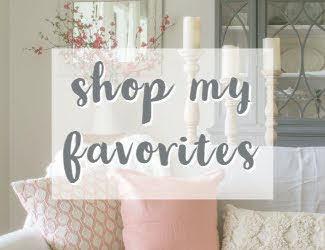 Are you favorites on the list? If not, please share them below in the comments! 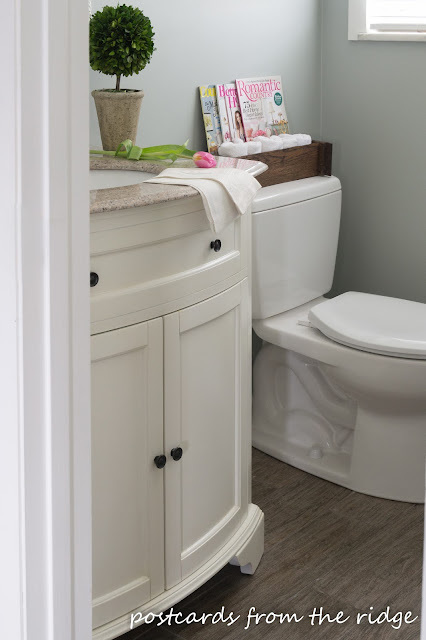 I hope you've gotten some helpful ideas for your next paint project!